The XC40 will be built in Belgium and China. Volvo Cars is adding production in China of its XC40 to meet growing demand for the automaker’s first compact crossover. XC40s for the Chinese market will be built in Luqiao, south of Shanghai, which is owned by Geely and operated by Volvo Cars. Until now Volvo’s plant in Ghent, Belgium, has been the sole production site for the XC40, which was launched in late 2017. Volvo has sold more than 100,000 units of the XC40 globally already. 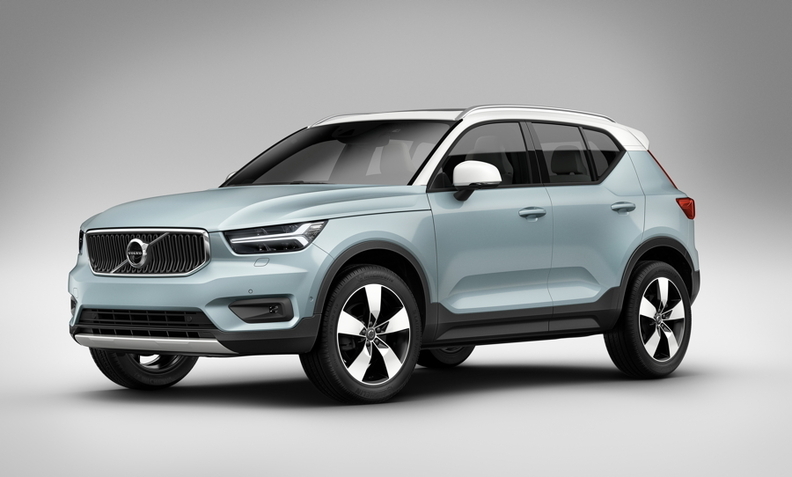 “Demand for the XC40 has exceeded our most optimistic expectations,” Volvo CEO Hakan Samuelsson said in a statement on Friday. The Luqiao plant already builds the 01 crossover sold by Lynk & CO, Volvo’s sister brand, which it co-owns with Geely. Separately, Polestar, an electric performance brand co-owned by Volvo and Geely, said this week it will build the full-electric Polestar 2 fastback car in Luqiao starting next year. The Volvo XC40, Lynk 01 and Polestar 2 are all based on Volvo’s Compact Modular Architecture (CMA), co-developed with Geely, which plans to use the platform for a new coupe-styled crossover. The Luqiao and Ghent plants are now focused on building cars based on CMA, while Volvo factories in Torslanda, Sweden; Ridgeville, South Carolina in the U.S.; and in Chengdu and Daqing, China, will build larger cars based on the Scalable Product Architecture (SPA). Volvo has been shuffling manufacturing facilities for its models as the cost impact of Washington's trade war with Beijing spreads. The dispute has been squeezing capacity at the Ghent plant.